1)Barks, Shakes and Rolls Unpredictably. 2)Watch your pet while playing. No for throwing or chewing! Just have fun for the Pets. 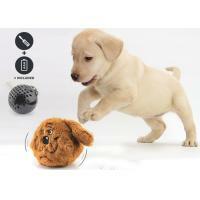 electronic ball moving with imitative dog’s barking. 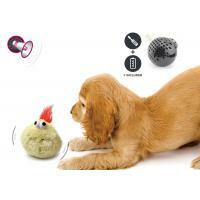 3)The wiggling, barking tail of fun for all dogs!. 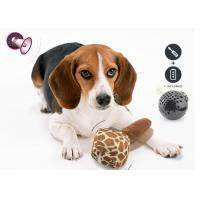 4)Jumping tail has zany sounds, sure to stimulate your pup's interest while Motion activation encourages continued use. 5)It's the perfect play toy for hyper active dogs or those that need constant entertainment. 6)Requires 3 AAA batteries. 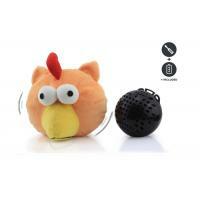 To maximize battery life the toy shuts off after a period without use. EASY PLAY - 3 X AAA battery power (included). Detailed operation please see Image and Product Description. 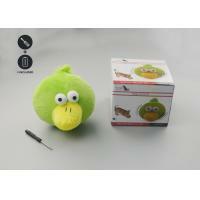 This Interactive funny toy makes your pet fondle admiringly. Enjoy having fun with it! 1. Open the Velcro of the plush cover then take out the inner ball. 2. Pull out the insulating strip. 3. 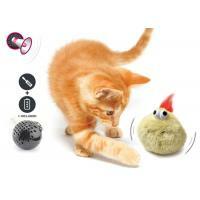 Press the button and the ball will shake aggressively with sound to activate the device. 4. Put the ball into the plush cover. 5. 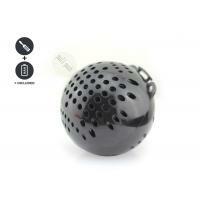 The ball will jump and squeaker for 20 sec after each contact. 6. The device will activate again when be strongly shaked. 7. ON/off switch: press the push button on the ball.